We resolve to graduate students trained for a life of godly service through a college preparatory curriculum of high academic standards and sound biblical truth. 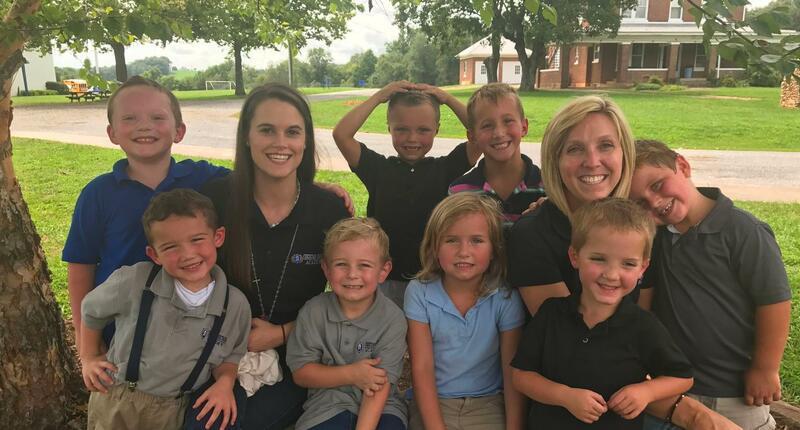 Is Christian Education Right For You? 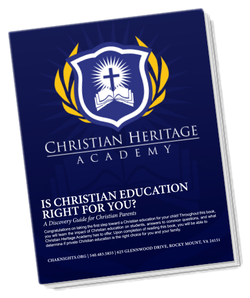 Discover the impact of Christian education on students, find answers to common questions, and learn what Christian Heritage Academy has to offer in this downloadable parent guide. Each student is trained in the moral, ethical, and doctrinal fundamentals of the faith. We create unique experiences meant only for the elementary grade levels through our various teaching programs. Our middle school program is designed to provide a balanced curriculum that will equip each student with the academic, social, and spiritual skills necessary to enter high school. Our high school program is primarily college preparatory in nature. We focus on implementing a curriculum that will equip them to achieve Post High School (PHS) levels of academic excellence.